Fight complacency by challenging yourself and those around you. I happen to believe there is danger in the comfort zone… and that danger is complacency! In my dictionary, “complacency” is defined simply as “self-satisfaction.” The self-satisfied often reside in their very own “comfort zone,” a place where by definition all is well or by Merriam-Webster as “the level at which one functions with ease and familiarity.” But is this truly a comfort zone or the gateway to the danger zone? I have no issue with self-satisfaction. I believe that we must all give ourselves a pat on the back from time to time. Then we need to move on and figure out what is next and what needs tending. When managers and leaders enter the comfort zone they pave the way for others to follow. This encourages a kind of “complacent” uniformity of spirit within the operation. When complacency dominates a culture it is insidious and has a gradual and cumulative effect. Change is resisted and innovation and creativity become unknown commodities. Quality deteriorates, collaboration is unproductive, morale is flat, and a variety of other ailments fester beneath the surface. It is here that the comfort zone morphs into the danger zone. Truly, this is a subtle transformation and many leaders remain blindly satisfied. I am not suggesting that leaders ignore the damage that is being done. For example, they may get complaints from customers and try to inform other departments of these issues. They may receive a half-hearted response driven by the widespread adoption and acceptance of a complacent attitude. The acceptance may amount to a simple shoulder shrug and the unconscious decision not to conduct a deeper analysis of the situation. Now all parties involved can hunker back down into the comfort zone of complacency. Every day consumers encounter mediocrity in customer service, be it a bank, an insurer, a hospital or a retailer. This situation is rampant and makes those that pay close attention to providing top-notch customer experiences SHINE. Quality organizations work every aspect of the experience and understand that operational excellence often sets companies apart in a competitive market. These operations avoid complacency because they are in motion. Complacent operations are often “stalled.” They have serious cases of the “we can’t” and “we don’t.” Examples of this are too frequent to review. We all have seen them as consumers; many of us do not recognize these companies as leaders. Complacency must be eradicated if we are to improve survival rates in today’s business climate. Complacency must first be recognized for what it is and evaluated in terms of its depth. Those at the “top of the shop” must be prepared to genuinely challenge themselves when evaluating overall performance. Has the company entered the comfort zone? How deeply has the condition penetrated? Another danger looms in this crisis. Complacent organizations often hire and promote those that are also complacent. This prevents the uncomfortable circumstance of someone pointing out real issues or disagreeing with the norm. Dissention must be welcome, while simultaneously being managed (no one wants the sniper or naysayer to dominate). Unfortunately, within complacent environments, arguments against change and the reluctance to challenge the status quo are often embraced rather than rejected. Those suggesting a shift are ousted or shunned. It is in Operations where things actually happen in business. All the grandiose ideas, strategies, branding, financial objectives and marketing campaigns are dependent on the enterprise’s ability to launch and manage activities from an operational perspective. When customers encounter experiences that do not match their expectations, their disappointment is rarely in the advertising campaign. It is more likely to be in product performance, price, delivery, support, etc. These are all operational elements. So how do you turn your danger zone into your comfort zone? First, you must fight complacency by challenging yourself and those around you. Assess the spirit, culture and morale of your operation. Could it use a jolt? Could you use a jolt? Start something new. Encourage more team meetings or “huddles,” ask for feedback, get people talking to each other and interrupt gossip sessions. And if you are really a leader and genuinely want a long-term career… stop the gossiping!! Many organizations pride themselves on behavior-based interviewing, using questions to elicit specific examples of a person’s qualifications. Here is an idea to help you jolt yourself out of complacency. Gather your management team in a room and ask them to answer those same questions, providing examples from their current positions. 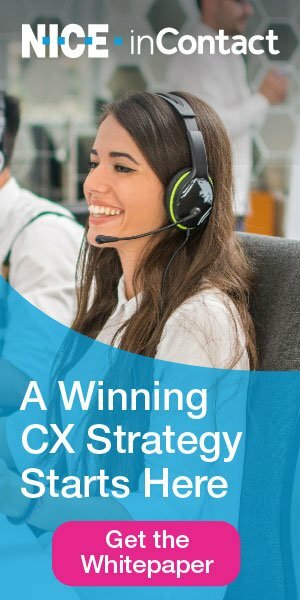 Have folks talk about how they dealt with resolving a difficult customer issue, what techniques they found effective in assuring a motivated team, and how they influenced someone with a different point of view. This is truly a great exercise! But it can’t happen if you are too comfortable, complacent or self-satisfied. Good luck!